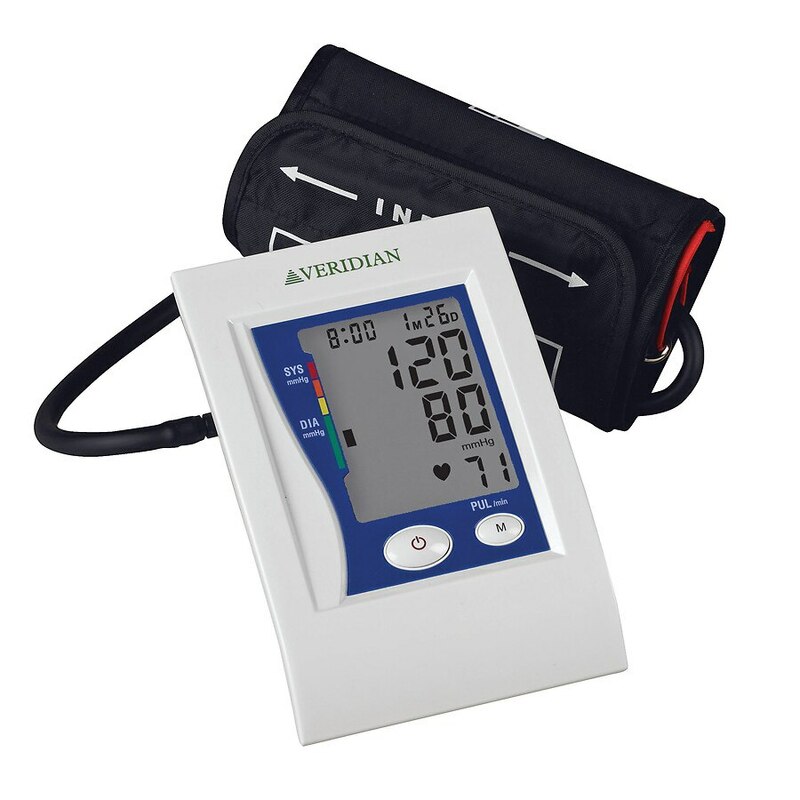 Large LCD display indicates reading progress and systolic, diastolic and pulse results simultaneously with date and time stamp. Includes: monitor, adult or large adult arm nylon cuff, zippered storage case, AC adapter port, 4 AA batteries, detailed English/Spanish guidebook, quick start guide and blood pressure reading log. Adult size cuff fits arm circumference: 11-3/4" - 16-1/2". Large adult size fits arm circumference: 16-1/2" - 18-7/8".